Do you have a large family that loves music? Today, music service Spotify introduced its first ever Family Plan. 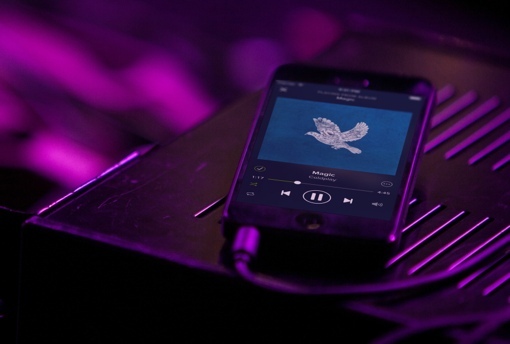 It allows up to five people to share the Spotify Premium service simultaneously at a discounted rate per device. Under the terms of the yet-to-be-launched plan, the first Spotify user’s Premium subscription will still cost you $9.99 per month. Each additional user added after that will cost just $5 more, a 50% discount over full price. Thus, two linked Spotify accounts will cost you $14.99; three will cost you $19.99; four will cost you $24.99 and the maximum of five will cost $29.99 per month. Spotify Premium allows you to download tracks for offline play, enables on-demand mobile streaming and eliminates ads. A Family Plan will enable simultaneous listening of different songs over different mobile devices. There are some limited mobile listening options without a Premium subscription, but to get real mobile use out of Spotify, you have to pay. A word of caution before you start using Spotify to stream music over a mobile device: Keep an eye on your data plan. A few hours of listening can eat up hundreds of megabytes; a regular listening habit can gobble gigabytes. If you’re going to listen to large amounts of mobile music, you may want to consider T-Mobile’s as a carrier – the company does not count Spotify data against your data allowance. Spotify isn’t the only streaming music provider looking to cut the price of subscriptions to boost revenues. According to Re/Code, Apple is in talks with major music labels to offer its Beats Music service for less than the $10 per month standard rate. For their part, music companies have been historically resistant to even allow subscription services, never mind offering them at a rate that would encourage more people to purchase them. They’re just too afraid of further hurting already slumping sales of downloads and CDs. You can learn more about Spotify’s coming Family Plan at the Spotify website. College students, meanwhile, can get a 50% Spotify discount right now. You might also want to check out Techlicious’s comparison of the best streaming music services available.